Mokan Riders Offroad Club » MOKAN RIDERS CLUB AREA » CLUB NEWS AND EVENTS » up and coming meetings? Bryan thats where the snow plow keeps you in riding shape. I may be fat but I can ride all day lol. Man keep bursting my bubble. Hey Lucas, if you are off the 17 or 18th of March, let's go and ride somewhere! Sounds like a great day to me to ride Lucas. I'll try and give you a call as it gets closer. I AM READY TO RIDE!!!!!!!!!!!!!!!!!!!!!!!!!!!!!!!!!! I know that's right Lucas...........Looked like some really good riding down in Arkansas last week and everything was already getting green too! well i am ready to host something so we can ride!!!!!!!!!!!!!!!!!!! Sounds good to me Lucas. Just let us know when and I'll do my best to be there too! Is this club still active? Looks like it has been a while since ya'll had a meeting. Yeah it was actually spring since we had an official meeting, we still have active members, they ride in groups and they always post on here so people can go too. I am hoping to get my life back in order after a series of mishaps to where I can ride with everyone again but until then feel free to post on the forum to find someone to ride with or comment on posts where people are going riding. 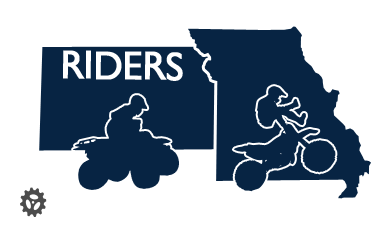 This club has quite a few AWESOME members that have been here from the beginning and will be here till the end, they like to ride and they like hanging out with other members. Let the ride begin and the fun never end! See you all on the trail again soon! 43 Re: up and coming meetings?